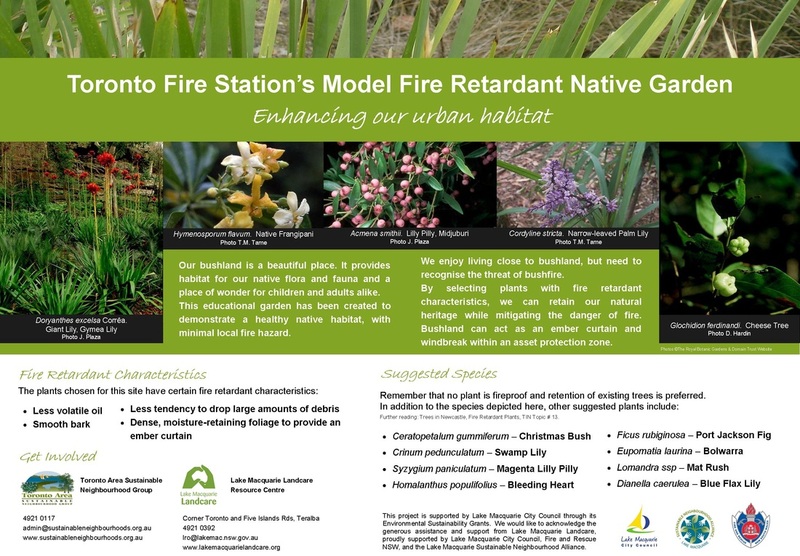 Toronto fire station, local Landcarers and Toronto Area Sustainable Neighbourhood Group are working to help the community become more bushfire safe, by creating an educational garden with fire retardant plants. What are we trying to acheive? Our bushland is a beautiful place. It provides habitat for our native flora and fauna and a place of wonder for children and adults alike. This educational garden is being created to demonstrate a healthy native habitat, with minimal local fire hazard. We enjoy living close to bushland, but need to recognise the threat of bushfire. By selecting plants with fire retardant characteristics, we can retain our natural heritage while mitigating the danger of fire. Probably one of the greatest bushfire hazards are the live embers carried on hot winds. The judicial planting of fire retardant plants can provide shade, privacy, erosion control, and bushland habitat views. Most importantly, fire retardant plants can provide an ember curtain. This is a wall of less flammable vegetation which helps to trap embers before they are carried towards your home. In September 2013 we held the first planting day at Toronto Fire Station. A keen group of local community members worked side by side with the fire fighters, including Mayor Jodie Harrison and Councillor Rosmairi Dawson. The successful morning’s work was the followed up by another planting as part of the fire station open day in May 2014. Some very flammable tea-trees in the grounds were removed and replaced in the process; interpretive signage has also been installed. 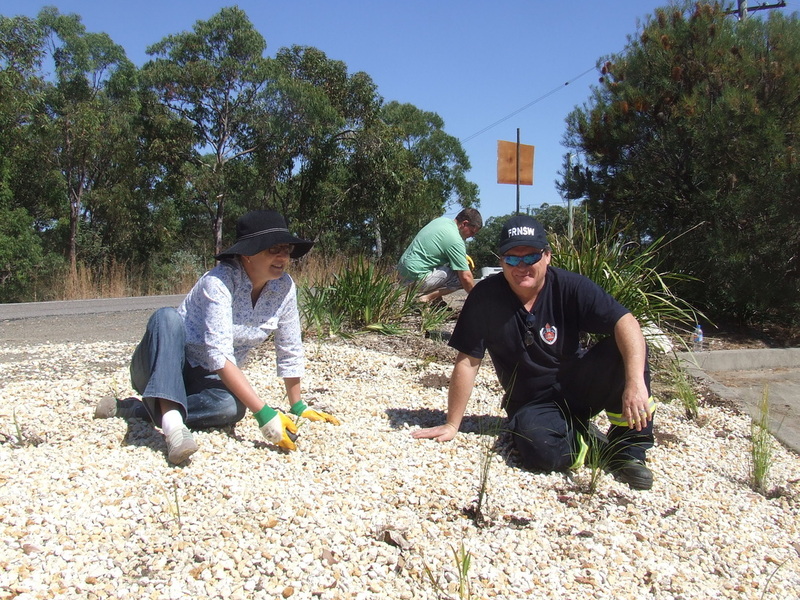 The garden has been made possible thanks to Toronto Area Sustainable Neighbourhood Group’s winning of a grant from Lake Macquarie City Council, through the Lake Macquarie Sustainable Neighbourhood Alliance, as well as strong support from the NSW Fire Brigade. 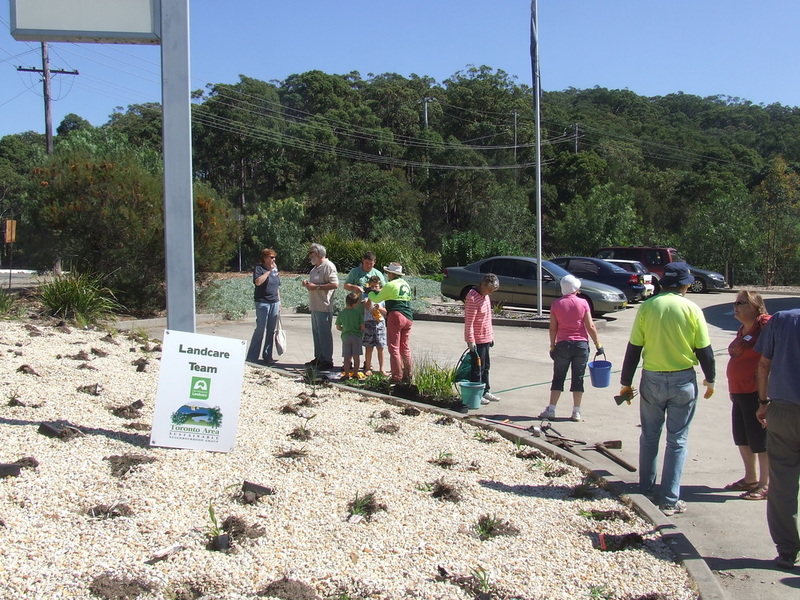 Crucial to the efforts of the group are the support, advice and resources of Lake Macquarie Landcare. Many people have participated and encouraged the project, truly making it a community affair. For more information contact Tim Brown on 4959 1265 or Timothy.Brown@fire.nsw.gov.au. Click on the image below to download a pdf of the educational signage from the garden.